The fascinating story of two American giants—Henry Ford and Thomas Edison—whose annual summer sojourns introduced the road trip to our culture and made the automobile an essential part of modern life, even as their own relationship altered dramatically. In 1914 Henry Ford and naturalist John Burroughs visited Thomas Edison in Florida and toured the Everglades. 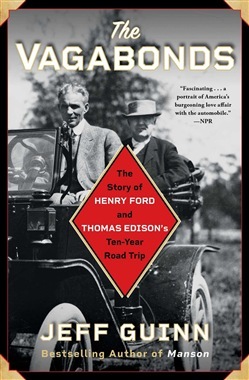 The following year Ford, Edison, and tire maker Harvey Firestone joined together on a summer camping trip and decided to call themselves the Vagabonds. They would continue their summer road trips until 1925, when they announced that their fame made it too difficult for them to carry on. Although the Vagabonds traveled with an entourage of chefs, butlers, and others, this elite fraternity also had a serious purpose: to examine the conditions of America’s roadways and improve the practicality of automobile travel. Cars were unreliable and the roads were even worse. But newspaper coverage of these trips was extensive, and as cars and roads improved, the summer trip by automobile soon became a desired element of American life. In The Vagabonds Jeff Guinn shares the story of this pivotal moment in American history. But he also examines the important relationship between the older Edison and the younger Ford, who once worked for the famous inventor. The road trips made the automobile ubiquitous and magnified Ford’s reputation, even as Edison’s diminished. The automobile had come of age and it would transform the American landscape, the American economy, and the American way of life. Guinn brings to life this seminal moment when a new industry created a watershed cultural shift and a famous businessman became a prominent political figure. 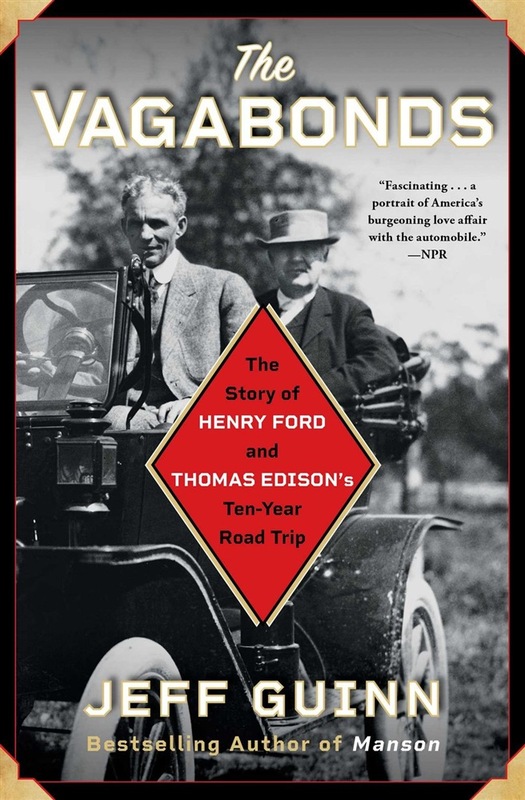 The Vagabonds is a wonderful story of two American giants and the transformation of the country. Acquista The Vagabonds in Epub: dopo aver letto l’ebook The Vagabonds di Jeff Guinn ti invitiamo a lasciarci una Recensione qui sotto: sarà utile agli utenti che non abbiano ancora letto questo libro e che vogliano avere delle opinioni altrui. L’opinione su di un libro è molto soggettiva e per questo leggere eventuali recensioni negative non ci dovrà frenare dall’acquisto, anzi dovrà spingerci ad acquistare il libro in fretta per poter dire la nostra ed eventualmente smentire quanto commentato da altri, contribuendo ad arricchire più possibile i commenti e dare sempre più spunti di confronto al pubblico online.